Welcome to Chai Tots 2019-20! Chai Tots Preschool from Shoestring Production Company on Vimeo. Chai Tots provides the ultimate early childhood experience. When you drop your child off, you will leave feeling confident, knowing your child is in a great hands. *Our warm, loving morahs will care for your child's physical needs and nurture their growth. *Each room is filled with age appropriate, stimulating toys, that will entertain and stimulate your child. 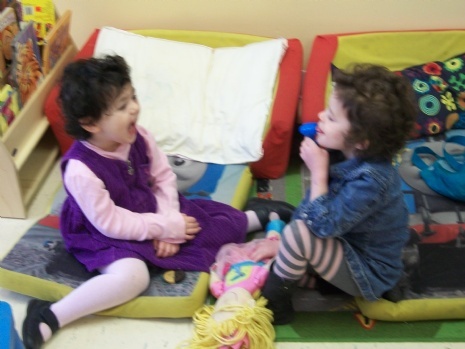 *Our comprehensive curriculum is designed to be super fun and multi sensory. *Our extended day care hours allow working parents the flexibility to choose later pick up times. 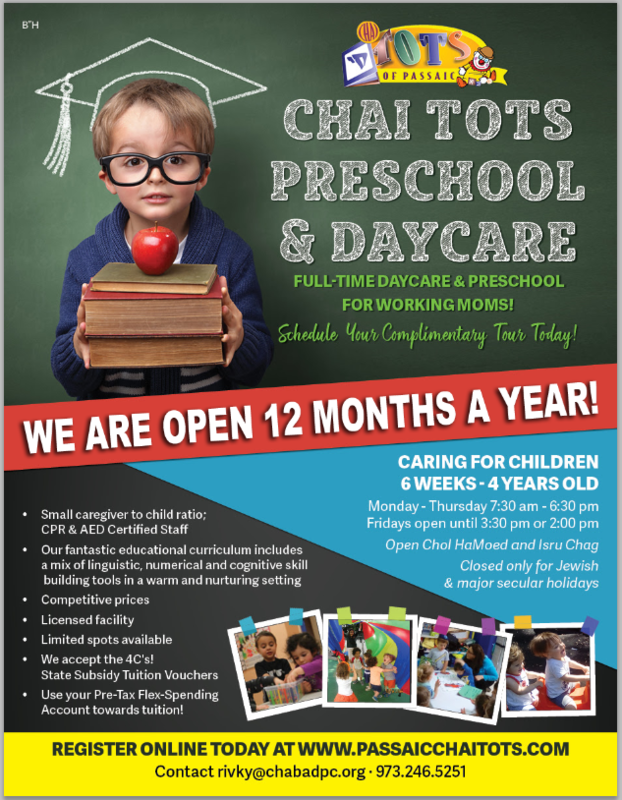 The Chai Tots Preschool & Daycare program is exactly what the Passaic Clifton community has been asking for!